Classic oxford look with hidden zipper front. Grey w/white contrast stitching. Button front look with hidden zipper front, button cuffs. 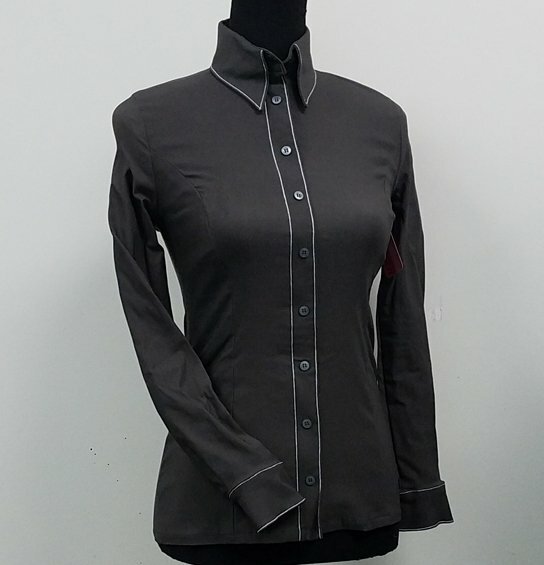 Grey stretch fabric has firm feel, white contrast stitching. Sizes 0 - 20. Machine wash, drip dry, cool iron. DO NOT DRY CLEAN.